The parents (and grandparents) featured in the piece were all sighted, and so were their kids. “Blind” was the Times’ way of saying that these parents were oblivious, ignorant, and didn’t have their children’s best interests at heart. These words were written over a decade ago, but today’s Times’ headline sadly shows that Kleege’s observations hold true fifteen years later. Terminology can disempower and strip individuals of their personal uniqueness because of one physical characteristic. And it can foster stereotypes and worse when that characteristic is associated with negative qualities. Even today, as we get ready to celebrate the 25th anniversary of the Americans with Disabilities Act, blind parents struggle for acceptance. Some still face a court system that doubts their competency simply because of the quality of their eyesight. Language associating blindness with ignorance feeds these cruel stereotypes. The New York Times should know better. I saw the “Blind to a Child’s Obesity” headline in the print version of the Times. When I went to look for the link online, the headline had been changed to “Parents’ Denial Fuels Childhood Obesity Epidemic.” I wondered if a digital editor had noticed the gaff. Or perhaps a reader pointed out the misuse of the word blind. (There are already over 300 comments on the piece, so I couldn’t easily figure that out.) Whatever the reason, I was glad to see the offensive headline gone. The New York Times needs to update its style guide. Disability should never be a substitute for any notion of incompetence. 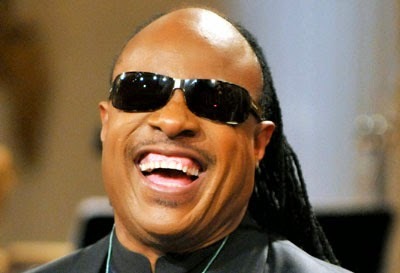 I chose a picture of Stevie Wonder to illustrate this post because besides being a wonderful singer, songwriter, musician and record producer he is the blind dad of six children. I hope that’s not misappropriation. But maybe if journalists pictured Stevie Wonder as they were about to write a headline associating blindness with incompetence — including parental incompetence — they would stop in their tracks. I hope so. This is a post about how the New York Times used the word ‘blind’ to mean incompetent. The Times wrote an article about how some parents ignore their children’s obesity. In the print edition of the paper the title of the article was “Blind to a Child’s Obesity.” Newspapers should not use disability to mean bad behavior. There are many blind parents and this type of wording hurts them. Back to Article.